The interactive quality of QR Codes creates its own curiosity, so focusing on the way the QR Code is presented and where it takes the customer is the main priority. While you could do this yourself, you could also leave it to the professional designers at MediaHeads who have working experience with QR Codes and their campaigns. We get familiar with your brand and campaign message before presenting you with the actualisation of your brief. Versatility. Not only can it be used to advertise anything, it can also be advertised anywhere. 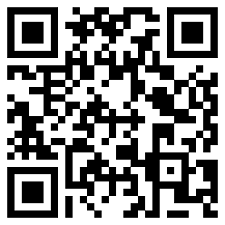 Looking for a new and interesting way to use a QR code? Be amazed by what Chalk Advertisement can do for you. If you feel like something even more exotic QR Codes can be incorporated into Rain Advertising too. MediaHeads will be happy to talk you through QR codes, from the traditional use, to new marketing, just call us on 03333 44 77 55 or email enquiries@mediaheads.co.uk today to hear more.